[AUG. 11, 2000] The NBA Jam Van rolled into town Aug. 9 and set up Camp NBA at Lincoln Christian College. The Jam Van is a mobile version of the NBA Jam Sessions, an annual event which draws thousands of NBA enthusiasts. The Jam Van is a 67-foot-long, 18-wheel truck designed to unfold into a rather impressive display. Several basketball hoops swing out from the sides, and the inside of the truck acts as a small NBA museum. Attractions include a video game area, a wall-sized video screen, an area where you can compare your hand and foot size to those of NBA stars, and statistics on NBA statistical leaders. Camp NBA allows kids to experience the NBA and to participate in drills on their basic basketball skills, such as dribbling, shooting and dunking. Area youngsters learned from Blaine Young, the event producer, who travels with the Jam Van all over America. 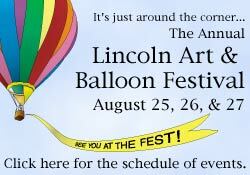 Resident Nate Bossingham assisted with the activity in Lincoln. Camp NBA is completely free of cost to participants. NBA, TBS and Gatorade sponsor the event. The Jam Van has stops planned in Mahomet and Champaign before moving out of the state of Illinois. 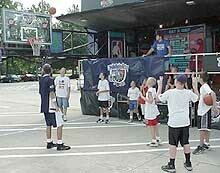 The complete schedule for the Jam Van can be found at NBA.com.